The play of free range kids can accomplish a lot. I own one of those robotic vaccum cleaners you see advertised on tv. I love it. I leave for work in the morning. When I come home, it's snug in it's little charger. I open up the little bin in the back and dump out a big pile of dust. A remarkable pile of dust, actually. Is my house really that dirty? Every single day? Lots of people get frustated watching robotic vacuum cleaners because they clean in an apparently random fashion. You can read their frustration in the on-line reviews. Mine wanders aimlessly, going right by patches of dirt that obviously need picking up. But it works beautifully. The key to its functionality is persistence and probability. It wanders randomly, guided by a general pattern and deflected by random changes in trajectory from chance encounters with furniture, pets, and the scattered leavings of a family. Every time it bumps into something - shoes, blocks, backpacks, feet - it turns a little and wanders off in another direction. Some people find that maddening. At first the wandering is fascinating, as they try to figure out its logic - trying to make order from chaos. Then they get annoyed, picking it up and sitting it on top of the dust they want it to clean up RIGHT NOW. They push the 'spot' button, causing it to circle in one area until that area is cleared. But that's not how the robot is supposed to work. The keys to its programming is randomness, time, and peristence. When scheduled, it starts up automatically and cleans for more than two hours until it's battery is depleted. Then it finds its way back to it's charger. It moves randomly, but, because it IS random, it covers every spot in several rooms during that time. If it misses a bit - unusual, but it happens - it gets it the next day. When people ask me how my robotic vaccum works, I usually tell them two things. It doesn't vacuum as efficiently as I do. But then, it vacuums for two hours every day, and I don't. It also finds things that I don't. I clean things I'm looking for. It wanders under couches and tables and behind curtains. It isn't looking for anything - it just cleans whatever it finds. Bottom line: my house looks much, much cleaner than it ever had before. More importantly, everyone's allergies are better, so I know it's working. Watching it this morning, I was struck by how analogous my vacuum cleaner is to my kids. We like seeing kids doing purposeful things: playing soccer on organized teams, learning an instrument, reading books - particularly 'good' ones. I have a partiality to that myself. My youngest son spends hours every week practicing his violin. I've signed him up for camps where he's learned to build robots or play string quartets or dribble a basketball. He's had fun and it's been really good for him. But both of my kids seem to have an insatiable need for long hours of unscheduled time. Leisure. They seem endlessly capable of staring into the air, humming or making the muted sound of space battles. They flip through joke books, listen to old audiobooks of science fiction stories, and wander aimlessly through the backyard, picking up sticks, poking them in the ground, and kicking them to see how they break. They take their scooters around the block with friends and find a nerf-battle at the playground, run home, grab their toys, and run back. They find birdnests, and snake skins, and unidentifiable car parts lying on the ground and just look at them, touch them, and take them apart. They wander aimlessly in the back yard and bike randomly from one friend's house to another. And that's not a bad thing. It's not a bad thing because all of the random things they encounter in their wanderings add to their knowledge of the world. They pick up knowledge and experience like sweaters pick up lint and my vacuum picks up dust. With enough time and enough wandering, they gather a lot of it. Not efficiently, but well. And even if they don't learn much that's useful in the long run, is that such a bad thing? They just need DOWN TIME to process all of the productive material that they've picked up during the hours of purposeful activity they've engaged in: school, homework, lessons. Memory consolidation requires time and cognitive space. Creative activity requires enough 'background space' in the mind - capacity not used in active processing - to occur. A great deal of research suggests that major creative breakthroughs are most likely to occur after a great deal of hard, dedicated, focused work, but during periods of inactivity and leisure. Free time and non-productive leisure give kids that time. People need to daydream. Finally, letting kids just be kids allows them to find that they love to do things that no one ever thought they would. Who knew how endlessly fascinating an ant nest could be? Who knew that they could take such pleasure in bicycling? Who knew that looking at comic books could create an understanding and love of drawing and visual design? When I was kid, my four sibs and I spent a lot of time just hanging out. When we were bored during long summer days, my mom would turn the hose on just enough to dribble down the driveway and make a mud hole and puddle at the bottom. Our afternoon was booked. Identity development is one of the major tasks of childhood and adolescence. Much of our understanding of identity development - how we come to understand who we are - was influenced by Eric Erikson. He argued that the ideal process involves identity achievement. Identity acheivement is a process through which we make purposeful decisions based on cognitive assessment of who we have been, what our strengths are, and where we want to go. There is much to what he says, but one might argue that he does a better job describing the endpoint of where kids should be when they arive at adulthood than the process they go through to get there. Al Waterman, on the other hand, uses a different metaphor to think about the identity development process. Waterman describes identity development as a process in which we engage in many different activities. Some of those activities resonante with us. When we do them, they just 'feel right'. When we engage in them, we know who we are. With exploration, we find more and more activities that we resonate with and, through those activities, come to define what we like, and who we are. In other words, though play, exploration, and just random wandering, we accomplish our long term goals. Not efficiently, but well. Isn't that what childhood is all about? I have noticed, working occasionally with elementary age kids, that they tend to be a lot happier and a lot more forgiving than adults, and I think that the 'free range play' is the reason. They don't have a set idea of what is going to happen, how it's going to happen, or what things are. Not having the limits and letting anything be possible makes the world exciting and new every time they go outside. They're more able to adapt when something comes up and more accepting of change. When we start to put the restrictions on the free range play and begin to get set in our ways, we become less ready for surprises and changes, and become less able to adapt. When they do pop up, we become unforgiving of the thing that disrupted our routine. That becomes the focus of the day, week, or even month, rather than moving on with the game/activity/exploration (like kids do). Yes, kids get upset for a short while, but it only takes a matter of minutes for them to let it go. We see the free range play as 'immature', 'unproductive' and 'childish'. If that is so, then I believe that being childish should be a goal we wish to achieve. Who is purer and happier on this planet except for children? Seriously, that attitude makes me sad. Is there a purpose to the universe? I don't believe so. Butterflies don't do much except make me happy (in my scholarly research, anyway) but they are not useless. I try to do random, fun things once in a while to keep myself from being old. Just this morning I took my coffee outside and had a conversation with a squirrel. We made "chee chee" noises at each other for almost five minutes, increasing in volume until my neighbor shouted, "Oh for crying out loud, Greg! It's Monday!" I agree with you and work hard to try to let my kids just wander. They get SO stressed and also work SO inefficiently when they're supposed to be on task if they're not given time to just be and play. The daydreaming just bursts out of them - they need the down time. But I also feel a lot of pressure as a parent not to do that. Kids get better grades and get more awards and get into better schools if they are driven and purposeful all the time. I'm just not sure they wind up as better or happier people. Or even better students in the long run. And I just have to keep reminding myself of that. i'm agree with you nancy! Love this post. Thank you for it. It's easy to forget the importance of down time in our busy world. Yeah, exactly!!!! 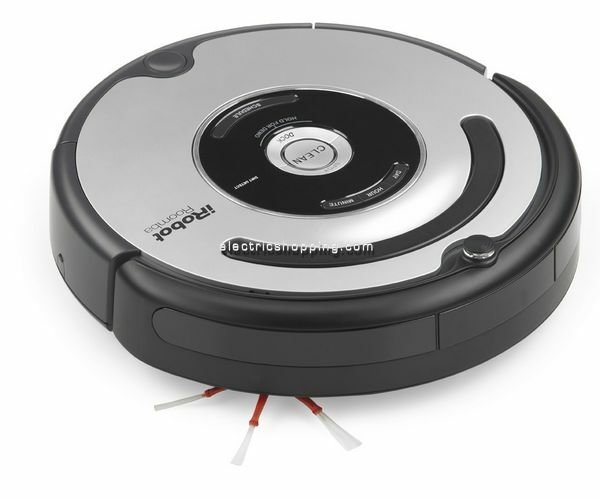 I also get frustrated watching robotic vacuum cleaners because they clean in an apparently random fashion. I agree with you. Thanks for sharing this beautiful post with us.